Nisim F.A.S.T. Shampoo and Conditioner. Nisim F.A.S.T. shampoo and conditioner is a wonderful hair growth product. I saw real results!! Im usually really skeptical on stuff like this, but i saw alot of other reviews so i thought id give it a try! I cut my hair above my shoulders in November or December in 2012. 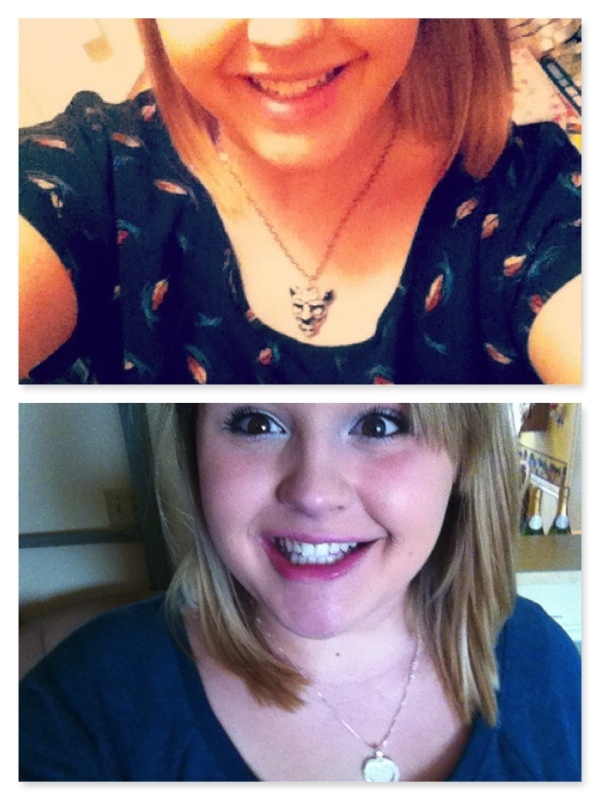 I regretted cutting it so short and i just wanted it longer again! So i did my research and looked for stuff to make your hair grow fast and found Nisim! I did exactly what it said todo for a good month(Wash your hair with the shampoo, rinse with warm water, Repeat, then put in the conditioner for 5 minutes.) and my hair grew an Inch!!! After that month i stopped for awhile and then started it again recently and i took before and after pics. (witch ill place below.) I also stopped using it for awhile now and am about to start up again. This stuff really works and i totally recommend it! Silla In The Moment Eye Shadow Pallet! I love this pallet! The colors are very pigmented and are shimmery, but not to shimmery like the Urban Decay Naked Pallet. This Pallet is great for people with brown eyes. It has beautiful purples and neutral colors, so you can create the perfect smokey eye and purple smokey eye. This pallet also comes with a smudge stick water proof eyeliner in Tetra, witch is a very pretty purple color that glides wonderfully. I highly recommend this to everyone, But if you don't know if the colors are for you, you can always go to Ulta or Sephora and swatch them! Hope this was helpful! Urban Decay All Nighter Long-Lasting Setting Spray! This product is simply amazing! Once you Finish your makeup you spray this allover your face 8-10 inches away and it sets your makeup and leaves it matte and stays on all day and night! I love how my makeup looks after i spray this on, I first do my face makeup and spray then finish the rest of my makeup and then spray again! I find my makeup doesn't move and i don't have to touch it up through out the day. I think this would be a good investment because it could save you makeup, and if your not sure if it'll work for you, go to Ulta or Sephora and try it out and wear it all day and if you think it works save up and purchase it, because it an be alittle pricey, Unless you get the 1oz, thats only $15. 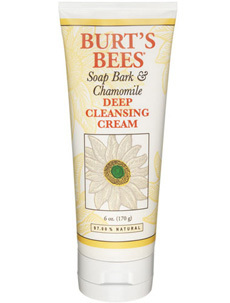 Burt's Bees Soap Bark & Chamomile Deep Cleansing Cream! This is defiantly my holy grail of face washes! Ive never had my skin feeling so good and clean after i wash my face! This also stopped my random breakouts and cleared up my acne, and I've read other reviews and people are saying the same thing! This does not dry up my dry skin and makes my face feel so soft! This is defiantly an amazing product, and ever better because its all natural! I think everyone should invest in this product! Hope that was helpful! If you have anymore questions email me! 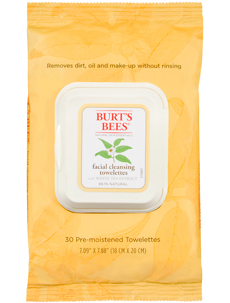 Burt's Bees Facial Cleansing Wipes with Tea Extract! These are my favorite makeup remover wipes! They do have a odd smell at first but i got used to it because they just feel so amazing on my face! There really good at removing my makeup with out me having to scrub hard on my eyes. I really do love burt's bees products because there all natural and seem to clear my acne up when i use them witch is really awesome! I totally recommend this to everyone to try, and if you have sensitive skin they also have a cleansing wipe for you! 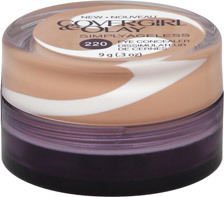 Cover Girl Simply Ageless Concealer! This is my holy grail of concealers! This product is so creamy and so moisturizing because it has a swirl of Olay in it, witch is pretty cool! I use this after i apply my foundation because it not only covers my horrible dark circles but can also be used as a good under eye highlighter, and its not to bright and its just simply perfect! This product just works great with my dry skin and thats very hard to find for me! I also find its better to pat it in with my ring finger, because it is very creamy, You'll also want to make sure you defiantly set your under eyes with a translucent powder so it stays better and doesn't slip off your face. Hope this was helpful! L'Oreal Magic Skin Beautifier BB Cream! This product is defiantly my goto bb cream! It has amazing Coverage and it says its supposed to prime, perfect, hydrate and corrects, witch i do believe it does! I started wearing this instead of my foundation for the hotter days, and its so wonderful! The colors do run a little dark though, they have four different color choices; Light, Fair, Medium, and Deep. I originally got the fair and it was WAY to dark for me, and then i went back and got the light and its pretty close to my skin color. The product does come out white, and once you blend it on your skin it turns the color. I also think its easier to apply this with your hands instead of a brush! Hope this was helpful!